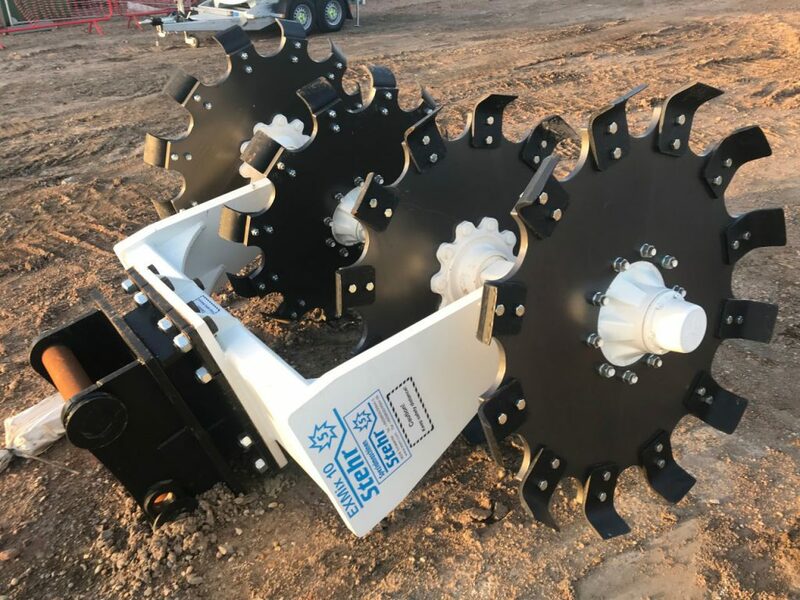 Soilfix have just taken delivery of its second brand new Stehr soil mixing attachment courtesy of Reeds Civil Engineering. After Soilfix were the first company in the UK to adopt this technology, this excavator mounted attachment has been in such demand on our sites throughout 2018, we have decided to purchase a second unit. The attachment does not require any hydraulics or moving parts other than rotating wheels so is easy to use, low maintenance and sustainable. During 2018, Soilfix have utilised the attachment for modification of soils with Quicklime, Cement and for mixing of remediation additives to promote bioremediation of hydrocarbon contaminated soils.